Saturday night, and here I am ... listening to my hour-long video of a dawn chorus I recorded back in New Zealand. It seemed insane to wake that early, at the time but now, I'm really glad that I did. But it's always been easy to wake early in NZ. And I found the video of me driving through the Homer Tunnel too but it needs downsizing to load here and so, tonight we'll make do with a photograph of the road home to my most favourite house ever. 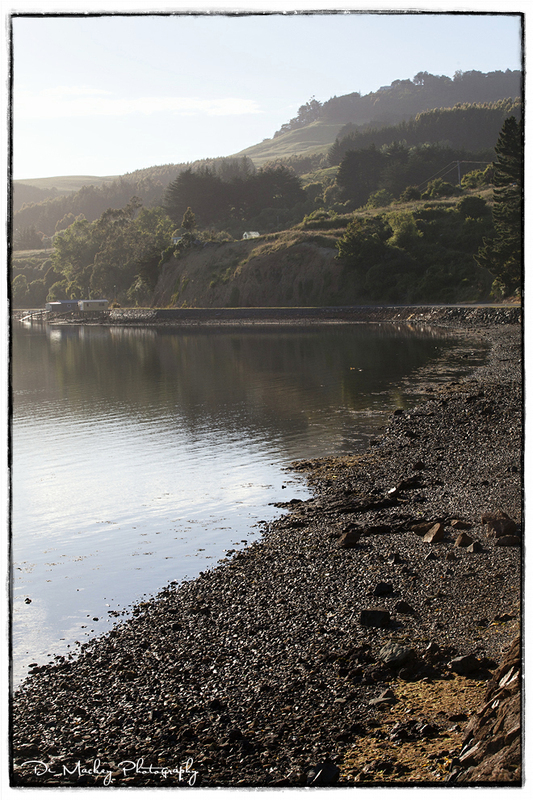 I loved living out at Broad Bay, Dunedin. Madly, truly, deeply. I loved everything about it really. The winding crazy road home. The proximity of the water. The huge selection of beaches. The birdlife. The air.